Spindles that extend from a swooping top rail to the base make a Mission statement in our Amish 48-inch Desert Hills Bench featuring Walnut inlays. This Mission Desert Hills Bench is made entirely of solid wood. 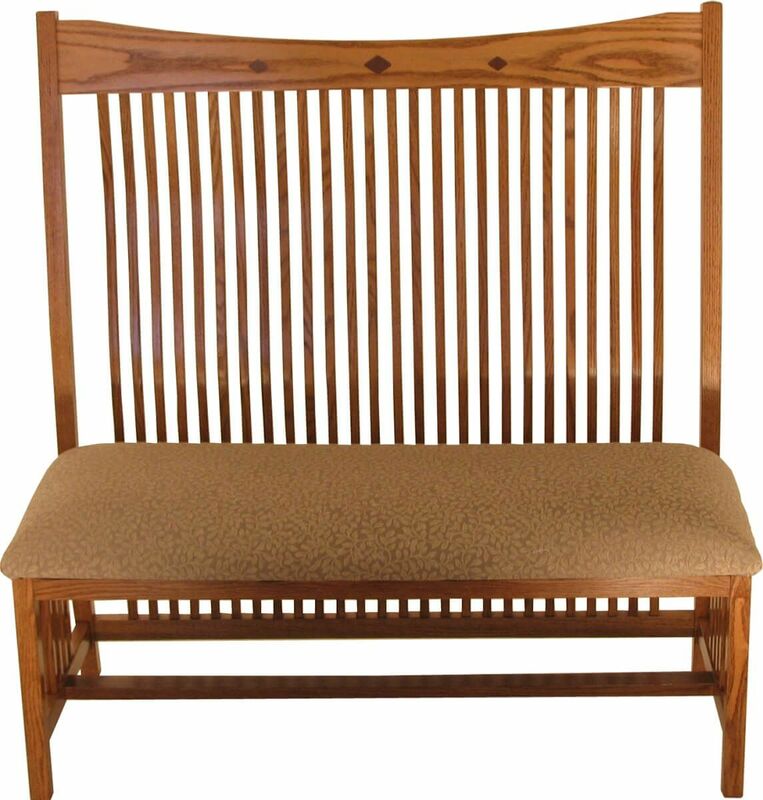 Built by Amish craftsmen with mortise and tenon joinery, your high back bench will provide you a lifetime of satisfaction and enjoyment. Seat options include standard hardwood, premium fabric, or full grain leather upholstery. Make your selections from our options menu and Countryside will get right to work on your one of a kind Desert Hills Bench. If you prefer the look as pictured, consider Oak with a Spiced Apple wood finish and upholstered seat. All Desert Hills Benches are handmade to order.